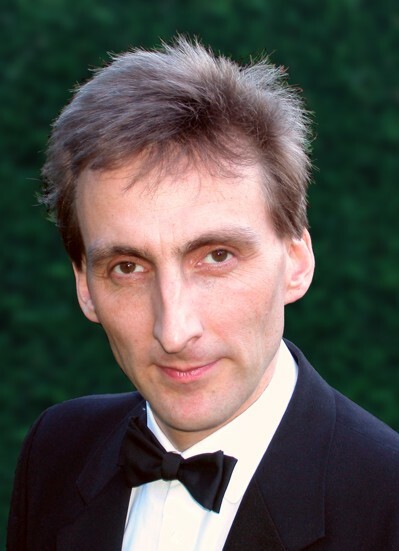 DAVID HENSHAW (ATCL,MA Cantab) grew up in Derbyshire and has always enjoyed singing and working with other singers. He is studying under Michael Dewis and sings with the Sitwell Singers in Derby (where he is also Assistant Conductor), with Concorde in Leicestershire and does occasional solo work with other choirs. On the stage he has taken lead Bass-Baritone roles in many Gilbert & Sullivan shows with Melbourne Operatic Society and in classical opera with Derby New Opera, operaHouse and Charnwood Opera. He is the Choirmaster and Organist at St. Peter’s Chellaston and the Show Musical Director for Melbourne Operatic Society.